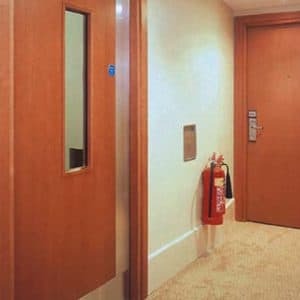 Traditional timber doors take much of the responsibility to block noise from different rooms, and you would be surprised at the amount of noise that is prevented! As time passes, doors age and can weaken, creating little gaps around the edges of the frame. A small gap can still allow a lot of noise to pass through and cause disruption. Especially your front or back door! If you notice this happen, then it is time to replace your doors. Investing in sound proof doors is a logical choice as they will arrive with a specifically designed frame that prevents unwanted noise. This soundproofing product has the acoutic requirements for soundproofing built into the design. Soundproofing doors are not just good for day-to-day noise intrusions, but also work really great for people who need to create noise for practise or entertainment, such as musicians or in a home entertainment ‘cinema’ room. A soundproof door helps to keep the noise withing the room and prevent distrupting the peace of other rooms in the house. 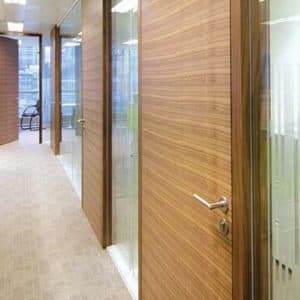 Combining acoustic doors with other soundproofing products for walls, floors or ceilings massively increase the soundproofing factor of your home. Unwanted noise plays a big part in stress levels so a reduction in sound transmission can be helpful to mental health and harmony. Making your home soundproof also has other advantages. If a time arrives when you want to move to a different property, you may find that the measures you have gone to the trouble of investing in will increase the chances of you securing a sale. The majority of products will also not be immediately noticeable, so they will not detract the overall appearance of the interior. The money it will cost you to purchase soundproof products will be well worth it. There is no doubt that they will be well worth the effort of fitting.